Creating item listings on eBay isn't particularly difficult, especially if you make use of inkFrog's listing tools and hundreds of designer templates. But as many sellers have discovered, getting an item listed isn't always the same thing as getting a listing seen. There are dozens or even hundreds of listings for every product on eBay, yet only one "first page" of search results. Here's how to ensure that the listings that you create actually rank well in eBay search, and actually get clicked on once they're shown to shoppers. Items that make use of eBay's catalog and that include many item specifics fields are far more likely to appear in shopper searches than those that don't—and this disparity will only increase as eBay's push toward product-centric shopping continues. As you list a product, be sure to search for an eBay catalog match using an electronic product identifier like a UPC or ISBN code, or barring that, using simple keywords. 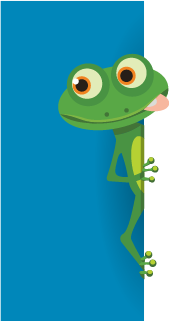 Don't skip the product catalog field as you create listings in inkFrog. After finding and selecting a matching catalog entry, take the extra time to complete item specifics fields as well, which boost your search ranking and are also used to include items whenever shoppers narrow their searches on eBay. eBay search likes bold, clean, uncluttered photos against a light background. You can see what eBay is basically looking for—photos that look like professional product photography, not like smartphone snapshots in a cluttered office or intake area. Study the product photos on large retailers' websites, then try to match them for overall look, quality, and quantity. Price isn't the most significant factor in eBay's search ranking algorithm, but it is a factor, and the farther away from average prices you are, the less likely your item is to be promoted by eBay search. Though guidance for eBay's product-centric pages isn't yet available, the presence of a prominent "lowest price" area on eBay's new product pages suggests that there will continue to be a significant benefit pricing lower than everyone else. See these three boxes? They're prime real estate, if your price is right. Put these two considerations together and you should realize that you should offer the lowest price when you can, price in the same ballpark as the competition the rest of the time, and when you can't offer the lowest price, make up the difference by really killing it with the other listing tactics discussed here. Don't use search terms or word soups like this. Not if you want to rank well in search. As a good guideline for words to omit—if eBay has an entire separate listing form area or tool specifically dedicated to the information you're trying to convey—say, item condition, markdowns, shipping times, and so on—eBay's search algorithm is likely not to value those keywords in your title or description text, and may even penalize you for them. See all that bling below the top-ranked listing? It gets shoppers to click and buy. The more of these best practices you're able to adopt, the higher your listings are likely to rank in eBay search. Of course it's not easy for most sellers to accommodate all of them, but if you can accommodate at least two or three of them (with free, rapid shipping likely being the most important), you'll give yourself a key boost. Yes, this stuff still matters—including for your search ranking. What this means is that your customer service orientation also figures in to your visibility on eBay. The better the overall service levels you provide—fulfilling orders on time, responding to queries, setting expectations so as to minimize returns, and earning positive feedback—the higher your search ranking is likely to be. If your listing appears in search results and shoppers click on it, that's good for your ranking. If your listing appears in search results but shoppers don't click on it, that's bad for your ranking. If shoppers view your listing and make a purchase, that's good for your ranking. If shoppers view your listing but don't make a purchase, that's bad for your ranking. Listing tactics that may have worked a decade ago—like including as many keywords as humanly possible, creating many listings for the same product to crowd competitors out of search results, listing accessories in non-accessories categories, and so on—are now likely to actively lower your search ranking. Irrelevant keywords or boring listings can harm your ranking—or get you hidden entirely. To maintain a high ranking, your ideal goal is now to appear once in a shopper's results, to tweak your first image and title in such a way that shoppers always click when they see your listing, and to be so relevant to shopper searches and so compelling with your listings that shoppers who view your listings always purchase then and there. At the end of the day, all of the factors we've outlined here point to eBay's larger search strategy. Remember that while eBay isn't in the business of helping you to make sales, they're certainly not "neutral" about making sales. They want to entice as many shoppers as possible to buy as many things as possible, and to do this, they're going to foreground the sellers and listings that are most likely to close the deal and satisfy the buyer. If you're able to internalize this idea—that eBay's search system wants to draw shoppers in, ensure that they quickly and smoothly find what they want to buy, and deliver them an experience that brings them back again next time—you've got the basic mentality right. If you can marry that shopper-centric attitude to the tactics outlined above, your listings will soon be ranking well on eBay. Naturally, we think inkFrog is the easiest, best way to tackle these tactics and to create and manage your listings. So try inkFrog today!